Specifically created for die-cutting machines and punches and will not gum up the cutting elements. Adhesive Sheets give you incredibly strong, clear, edge-to-edge coverage without stringy application! Use them to create your own stickers or to add extra flair to your designs with pigment powder, glitter, foil, microbeads, and more! 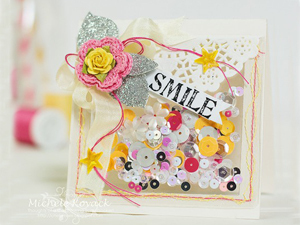 Perfect for intricate die cuts and hard to adhere elements. Becomes invisible with acrylics and light weight vellum, keeps it clear when you adhere! Whether it be a lock of hair, a ticket stub or special coins, our Keepsake Envelopes will ensure safe storage for years to come. 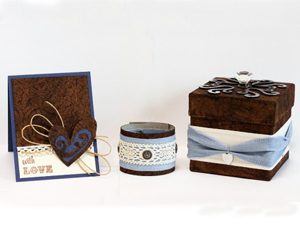 Perfect for storing keepsakes on cards and scrapbook pages, or for creating pocket scrapbook pages quickly and easily. With our Kits you get an introduction to the creative world of adhesives. 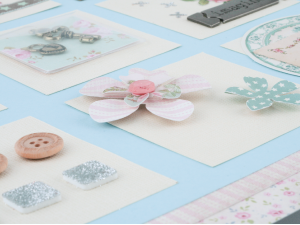 Not just for sticking paper to paper, these high quality kits give you a whole range of embellishment options, decorative shapes, and of course a variety of basic adhesives for types of papercrafting projects.